A large and impressive piece of classic antique church furniture. 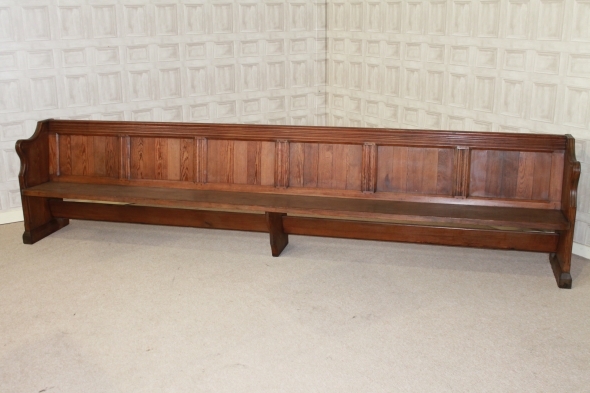 This large and unaltered Victorian pew has a lovely panelled back and decorative side arms; ideal for any large conservatory, hallway, pub, restaurant etc. It is in lovely condition for its age.